152 : Don't Put your Fingers into the Food!!! The kitchen was filled with the most delicious aroma of roast chicken. Gohan took a careful look around, but Trunks was nowhere to be seen. He snuck closer to the plate with the chicken and stuck his finger into the sauce. It tasted heavenly. 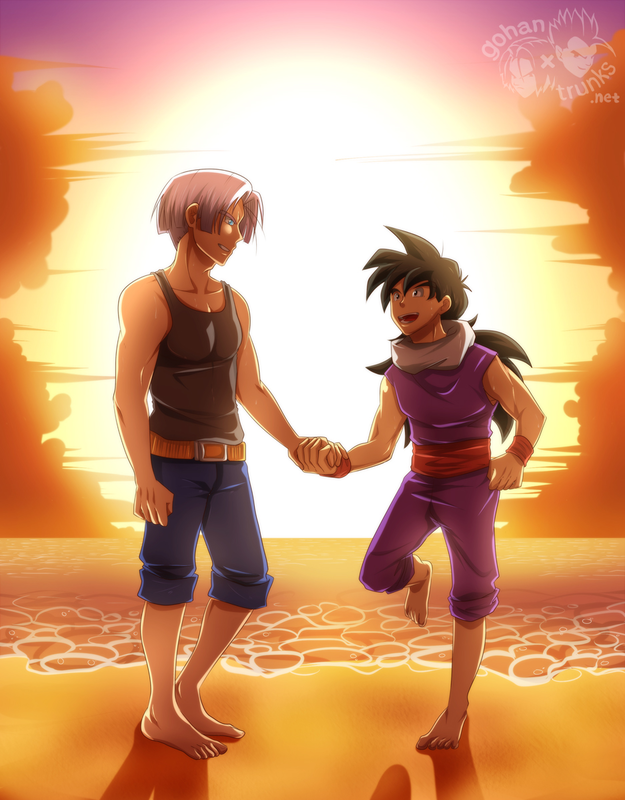 With his finger still in his mouth, Gohan looked at the doorway, from where a very displeased Trunks was glaring at him. He was waving the spatula in the air as if it were a sword. Uh-oh.